Lucknow is finally set to host its first international cricket match after more than two decades. 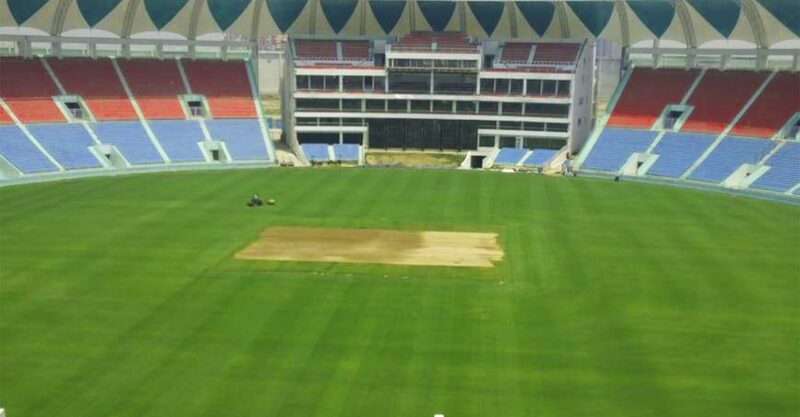 The newly built Ekana International Lucknow Cricket Stadium is the chosen venue for a match to be played between India and West Indies during the latter’s upcoming tour this November. India will play two test matches, five ODIs and three T20Is in the home series against West Indies which will commence from 4th October. The announcement for the same was made by BCCI on Tuesday. While the opening test match will be played in Rajkot, Guwahati will host the first one day international on 21st October. As for the T20I series, Kolkata will host the first match on 4th November. The second game will be held in Lucknow on 6th November and the closing match will be played in Chennai. The full schedule of the tour can be found on BCCI’s official website. The last time Lucknow got a chance to play host to international cricket was 24 years ago when India won a match against Sri Lanka at the KD Singh Babu Stadium in 1994. And even prior to that, two matches – India Vs Pakistan (in 1952) and Pakistan Vs Sri Lanka (in 1989) were held in the city of Nawabs. The newly built Lucknow Cricket Stadium has so far hosted only domestic matches, most of which were Duleep trophies. However, this is not the first time the stadium has been considered to host an international match. Earlier in 2017, it was a strong front runner to host an ODI against New Zealand but lost out to Green Park Stadium in Kanpur due to infrastructural problems. It is a matter of joy for the people of Lucknow and for the cricket fans who had been waiting to see their favourite players live in action at the ultra-modern Lucknow Cricket Stadium with an elegant contemporary look. They can now enjoy the thrill of witnessing a live match in their home town itself. On the other hand, a sporting event like this will also play an important role in giving a push to employment and tourism in the city.